Shrimp are one of my favorite foods in the world, if you haven't noticed from my restaurant orders. I love shrimp any way you can cook them. 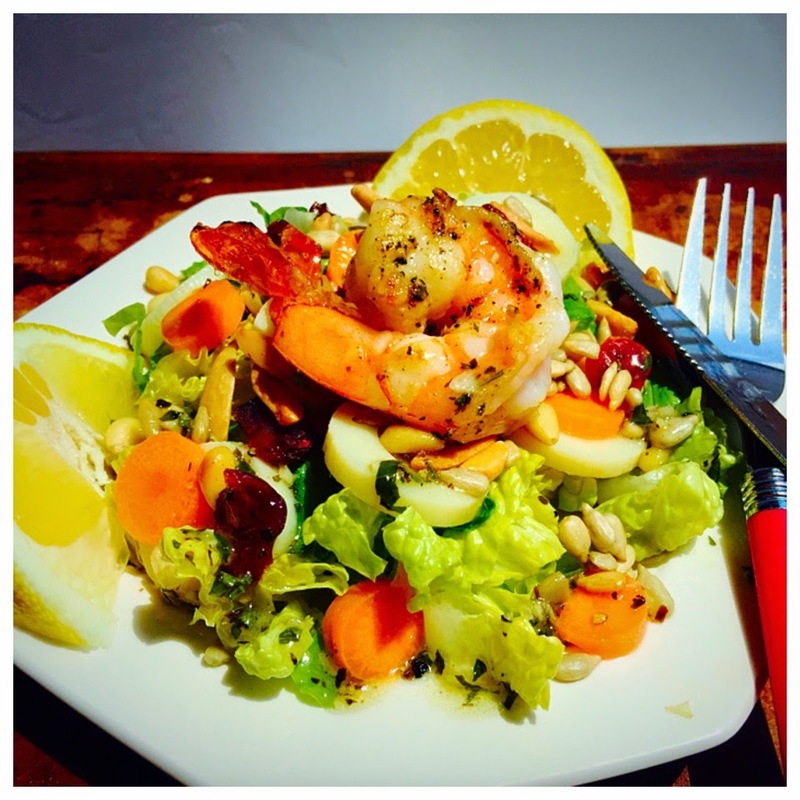 Recently, I paired grilled shrimp with one of my favorite salads. I call it Palm Beach Salad for a couple of reasons. First it has hearts of palm as one of the ingredients. Second, the salad has a beautiful, citrusy dressing that reminds me of the beach. When I put shrimp on the salad, the beachy theme is complete. The salad starts with crunchy romaine. 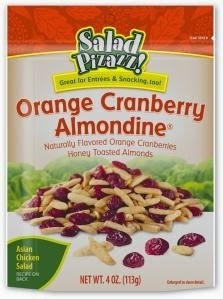 Then I throw in some sliced carrots, sliced hearts of palm, sunflower seeds, toasted pine nuts, and a sprinkle of Salad Pizzazz Orange Cranberry Almondine. Mix together the following ingredients, shake well and drizzle over salad. You can get a printable copy of the recipe HERE. This is absolutely fantastic! Visiting blogs today during the #Challenge, and here you are. I have read back through some of the recent posts leading up to today. I'm hooked. The blog looks fantastic, uncluttered, easy to read, wonderful photo support. LOVE everything you have posted and I look forward to spending time catching up with three friends with a fork. If I could hand out a blue ribbon, I would place it right here in this site. If you have time between all this hard work to present this material, come and see what I'm up to. If I'm not writing, I'll be in the garden. I'll be watching for you. Thanks so much, Stepheny! You have made our day!